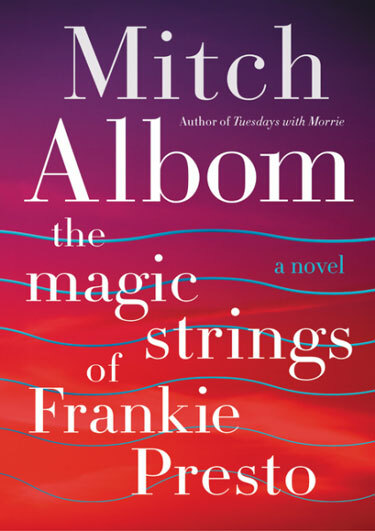 Mitch Albom reates his most unforgettable character—Frankie Presto, the greatest guitarist ever to walk the earth—in this magical novel about the power of talent to change our lives. With its Forrest Gump–like journey through the music world,The Magic Strings of Frankie Presto is a classic in the making. A lifelong musician himself, Mitch Albom delivers an unforgettable story. “Everyone joins a band in this life,” he observes, be it through music, family, friends, or lovers. And those connections change the world. ~Bestseller Tuesdays with Morrie, the bestselling memoir of all time.~His first novel, The Five People You Meet in Heaven, was an instant #1 New York Times bestseller, as were For One More Day, his second novel, and Have a Little Faith, his most recent work of nonfiction. All four books were made into acclaimed TV films. Albom also works as a columnist and a broadcaster and has founded seven charities in Detroit and Haiti, where he operates an orphanage/mission. He lives with his wife, Janine, in Michigan. tend to like books more than movies. Don’t yu? ?